Actor Kenneth Branagh is to direct a film version of Mozart's opera The Magic Flute with a libretto written by his friend, actor Stephen Fry. The $27m (£15.3m) movie, which will have a cast of young opera stars, will begin filming in the UK in January. The pair, whose work together includes the 1992 Branagh-directed film Peter's Friends, are giving the opera a World War I setting. "This is a very exciting departure for me as a filmmaker," said Branagh. Musical director James Conlon, who was awarded France's Legion d'Honneur in 2001, will conduct the Chamber Orchestra of Europe. The storyline sees young soldier Tamino set off on a journey in pursuit of love on the eve of battle, which takes him to a twilight dream world. The cast includes Joseph Kaiser as Tamino, Amy Carson as Pamina and Ben Davis as Papageno. 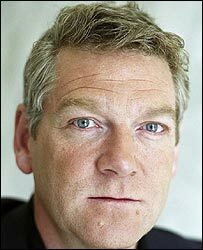 In 1990, Branagh was nominated for best actor and best director Oscars for his film of Shakespeare's Henry V, for which he won a best director Bafta. He also had Oscar nominations for best short film for Swan Song in 1993 and best adapted screenplay for Hamlet in 1997. He recently directed a film of As You Like It, while his other director credits include Mary Shelley's Frankenstein in 1994 and thriller Dead Again in 1991. Fry directed Evelyn Waugh adaptation Bright Young Things in 2003. 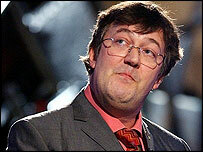 He has also written books including The Liar and penned an episode for the new series of Doctor Who. Next year is the 250th anniversary of Mozart's birth.